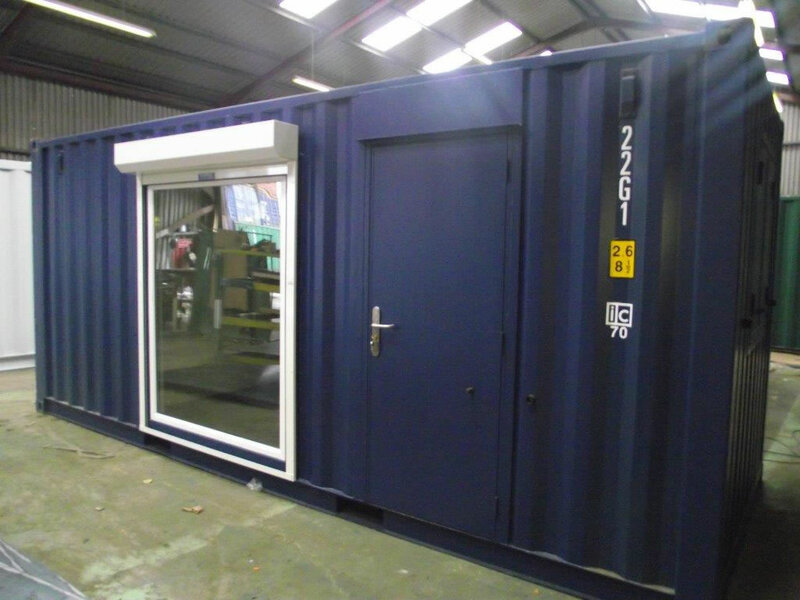 If you are involved in a business that perhaps works through several sites, maybe has factory and workshop locations, or would benefit from being able to quickly place an office on a new development, a terrific recent piece of work from our Liverpool based Container Care team should grab your attention. We were asked if we could supply such an office, and one that would be secure in the environment where it was to be placed. 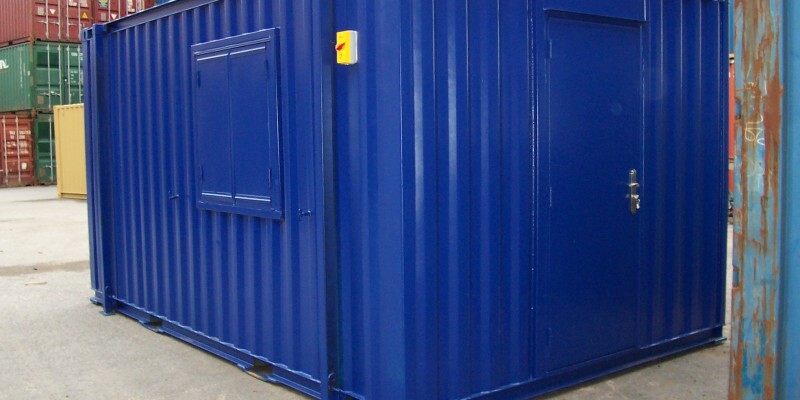 Our answer was “yes” and, given the company name, there’s probably no great surprise in the fact that what followed involved the conversion of a 20ft storage container. Taking a detailed brief from the customer, we then produced CAD drawings of the proposed layout. With this approved, our dedicated team in the new depot here on Merseyside, went quickly about their task. All necessary work on such projects is carried out in-house. 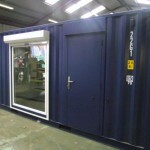 In this particular example, the container had an extensive floor to ceiling widow, and a door, added. The former was also made completely secure with the addition of roller shutters, and, as you can see, the exterior painted in a rather fetching dark royal blue. Inside, a complete set of electrics was installed, including sockets at convenient heights to save anyone from crawling around on all fours to plug in computers and the like. Satisfyingly snug heating was also added (very useful in such constructions, considering the variety of environments where they could be used). Once located onsite, all was made ready for the new owner to move into a professional office environment where none had existed previously. A container office might be the perfect solution for you. Equally, you’d perhaps like a simple meeting room facility, perhaps a managed storage area, or a location for your team to enjoy their coffee or lunch breaks. Whatever your needs, it’s certainly worth discussing them with our clever folk here at Container Care (we are biased), who pride themselves on being able to find a container-based solution for virtually every such problem. Ready to test us out?